The Minty started LA Cocktails to delve deeper into the cocktail scene; covering news, events, history and bar stories. 2019 Cocktail Weeks Calendar 5 Votes Up! 2018 Cocktail Weeks Calendar 7 Votes Up! 2017 Cocktail Weeks Calendar 6 Votes Up! Cocktail Weeks: July – September 2016 4 Votes Up! Cocktail Weeks: April – June 2016 5 Votes Up! Cocktail Weeks January – March 2016 0 Votes Up! Going to Kansas City for Paris of the Plains Fest! 0 Votes Up! On a Tequila Partida Bar Crawl 0 Votes Up! That’s the Chartruth: Green Chartreuse Egg Cream 3 Votes Up! Mixing with Minty: Privateer Rum Rainier Cherry Da... 0 Votes Up! Mixing with Minty: Sunday Funday 0 Votes Up! Cocktail Weeks July – September 2015 0 Votes Up! 2015 MCC Canceled But Some of the Events Will Go O... 0 Votes Up! Cocktail Weeks in 2015 – April through June 3 Votes Up! Cocktail Weeks in 2015 – January – March 1 Vote Up! Check Out Hollywood’s Grandpa Johnson’s Bar Mashup... 0 Votes Up! Upcoming Cocktail Weeks To the End of the Year 0 Votes Up! 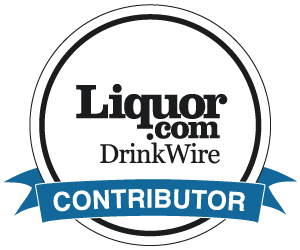 Few Spirits Tasting in Los Angeles 8/26-28 0 Votes Up! Game On: New Drinks at 1886 Bar 1 Vote Up! The World Cup and Avua Cachaca 0 Votes Up! New Cocktails at Pour Vous 0 Votes Up! The Minty Reviews: Brenne Whisky 0 Votes Up! Canadian Whisky: Wiser’s Rye, Wiser’s 18, Lot 40 a... 0 Votes Up! Negroni Week is Coming! June 2 -8, Drink for Chari... 0 Votes Up! Evening of Tiki Series Returns to the Spare Room 0 Votes Up! William Grant & Sons 2014 May Mix Off 0 Votes Up! Manhattan Beach: New Drinks at MB Post 1 Vote Up! GSC: Anchor Distilling Happy Hour 0 Votes Up! La Descarga’s Tiki Tuesdays April Guest Bartenders... 0 Votes Up! Upcoming Cocktail Weeks April – June 2014 0 Votes Up!